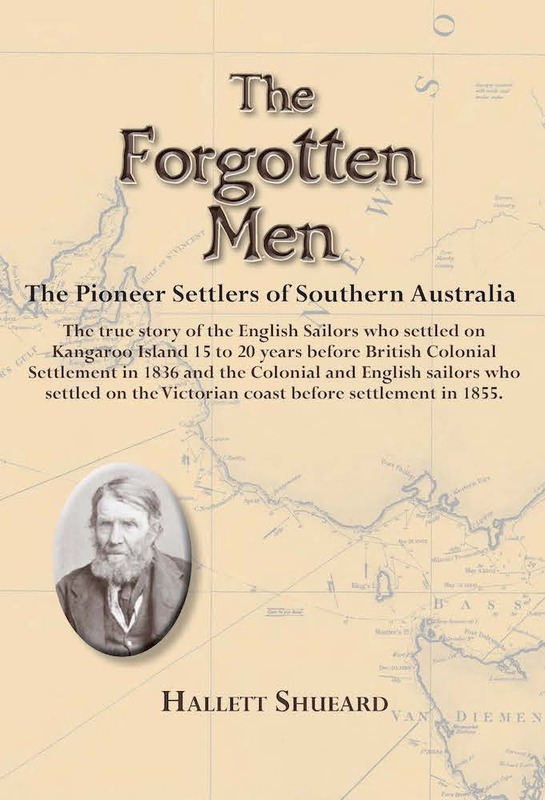 The true story of the English Sailors who settled on Kangaroo Island 15 to 20 years before British Colonial Settlement in 1836 and the Colonial and English sailors who settled on the Victorian coast before settlement in 1835. South Australia’s pre-1836 white history has been appallingly misrepresented over the past two centuries. This book sets out to correct much of the misinformation which has been continuously recycled and presented as fact by numerous historians, government officials and authors throughout this period. Extensive research over the past two decades has uncovered material that disproves much of the myth surrounding Kangaroo Island and its first white inhabitants - myth that arose from erroneous articles published in early colonial Hobart Town and Sydney newspapers in the 1820s, and also from embellished reports created by the British Colonial Office, the South Australian Colonization Commission, and the South Australian Company in the early 1830s, in a bid to lure prospective immigrants out to the new British Province of South Australia. A substantial amount of the erroneous information circulated in these newspapers and official reports came from unreliable and disreputable sources, as you will discover in this book. To the continued detriment of Kangaroo Island and its first white inhabitants, many historians and authors have subsequently used this erroneous information as the basis of research for their publications. Many of the early reports depicted Kangaroo Island as a bastion for murderous cut-throats and pirates, yet there is not one official documented report of murder or piracy occurring on the island before 1836. These early reports also incorrectly described Kangaroo Island’s first white settlers as escaped convicts or ex-convicts when, in actual fact, most of the permanent settlers were British ex-naval sailors, freemen sealers and whalers who never allowed escaped convicts to reside on the island. These sealers and whalers, who were known as Islanders, lived an independent and relatively peaceful existence on Kangaroo Island, cohabiting with their Aboriginal wives and families for 15-20 years before British colonial settlement in 1836. The value of the Aboriginal women to the sealers of the southern Australian coast, along with the controversial issue of kidnapping and trading of Aboriginal people, is also addressed in this book. Information gained from the sealers and whalers played an integral part in the creation and development of colonial South Australia and Victoria, yet they received scant recognition from British and colonial officials, historians and authors. Hopefully, the Islanders’ input into the establishment of South Australia, along with their sealer and whaler counterparts’ input into Victoria, will finally merit an appropriate place in the annals of colonial Australian history.